For hundreds of years, Panama has been seen as a key strategic base by both imperialist forces and trading powers, due to its unique geographical location. Indeed, this thin strip of land is often referred to as the Crossroads of the Americas, as it forms the connection between Central America and South America. As such, it has long been seen as something of a global pivot, and has attracted the attention of many nations around the world for centuries. Indeed, many people are unaware that the history of the United Kingdom is largely intertwined with that of Panama. In the early 18th century, Scotland tried and failed to set up a trading colony in Panama. The disastrous attempt led to low moral and masses of debt for Scotland, and was ultimately the reason for their entering into a union with England; the birth of the United Kingdom. However, it wasn't until the early 20th century that Panama became a true centre of global trade, thanks to the building of the Panama Canal. Today, this incredible feet of engineering is one of the most impressive sites in the Americas, and passing along it on a cruise is a truly breathtaking experience. Here's a brief look at the history behind what is considered one of the most audacious achievements in human history. The idea of connecting the Atlantic and Pacific oceans first came from the US, and Panama - which at that time was part of Colombia - was chosen as the obvious location for such as scheme. As the thinnest stretch of land in the Americas, it was the obvious candidate to harbour a canal that would allow ships to cut straight through the middle of the continent, thereby saving an 8,000-mile journey around the southern tip of Cape Horn. However, when the Colombian government refused to allow the US to build its canal, the American government threw all its support behind an uprising in the region, eventually resulting in a revolution that saw the region of Panama become an independent nation. Following this, the new Panamanian government signed a treaty with the US that allowed for the building of the waterway, with the so-called Canal Zone that surrounded it to be controlled by America. 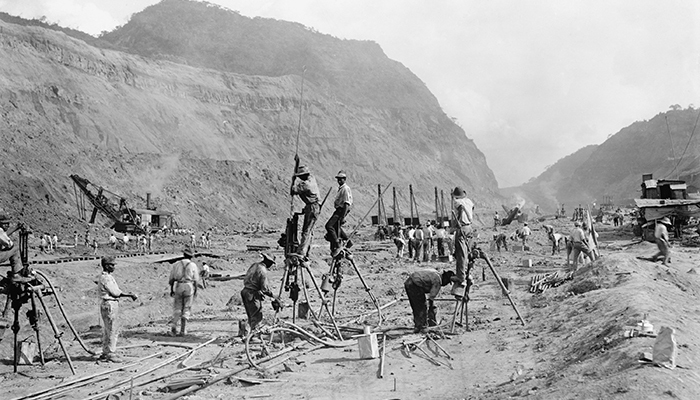 The building of the Panama Canal began in 1904 and took ten years to complete. 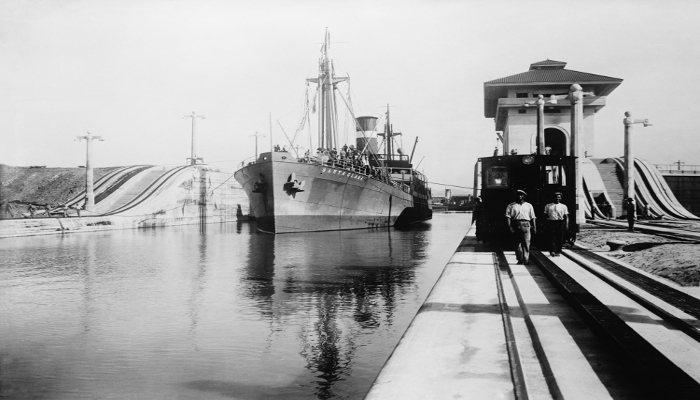 Although it proved to be a huge success in terms of achieving its aim of allowing ships to cut through from one ocean to the other, it soon began to generate social tension within Panama. This was because most of the money it generated went straight into the US economy, with the locals seeing very little benefit. After several decades of unease and a few uprisings, President Carter eventually signed a treaty in 1977 which saw the canal gradually turned over to the government of Panama. On December 31st 1999, the eve of the new millennium, Panama officially took 100 per cent control of the canal. A project to expand the Panama Canal was launched in 2007, with the aim of enabling larger ships to pass through it. This was initially planned to be completed by 2014 - the 100th anniversary of the canal - however various set backs resulted in completion being delayed until June 2016. The expansion came as great news for cruise liners around the world, as it means that many of the top vessels in the industry can offer more voyages, taking passengers through this incredible waterway. 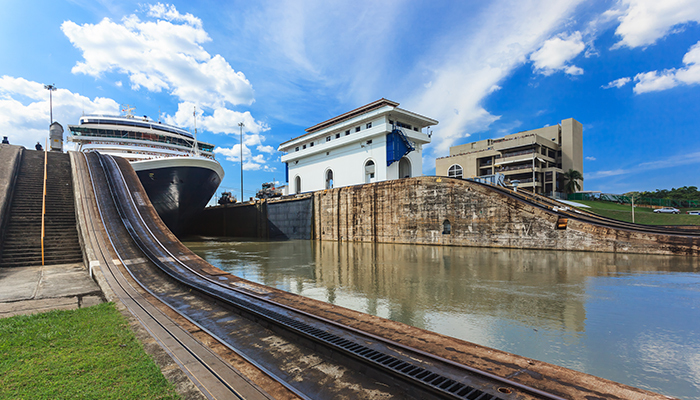 Of course the best way to appreciate the majesty, and incredible architectural skills that were put into to creating the canal, is to see it yourself on a Panama Canal cruise. These allow you to experience the feat that is traversing from one ocean to the other. The crossing usually takes around one and a half days, but during this time you will be treated to some truly stunning views of both natural, and man-made scenery. 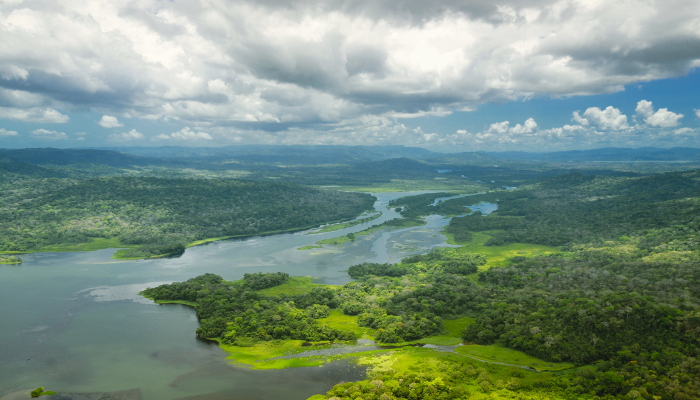 This includes the acres of beautiful rainforest that surround the area. Keep an eye out to see some incredible wildlife such as different species of monkeys, exotic birds, and iguanas.